› Changes and new functionality for the web app. Changes and new functionality for the web app. We have published a new version of the web app which brings a lot of new things and changes. Collapsible main menu: The main menu, with the addition of new features over time, has grown considerably. Making the menu collapsible allows to close the rarely used section and keep open the ones employed daily. Active menu item highlighting: we have simplified the highlighting of the active menu to just one colour to avoid confusion. Quick state change for bills: changing bill state is just one click now and the number of states have been reduced. We have removed the Partially Paid and Overdue States. Also, we now allow you to void a Paid bill. Filtering bills by Organisation: Now you can filter by guest and organisation at any combination. 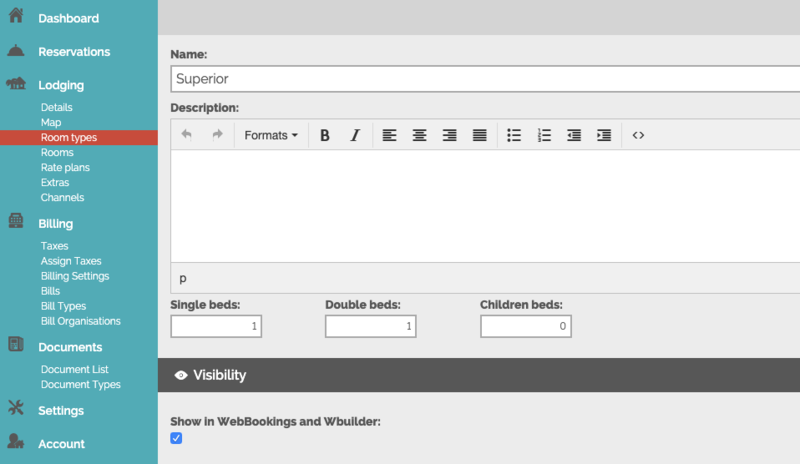 Visibility of WebBookings: a new checkbox has been introduced in the room type forms to make a room type visible on booking engine and web site builder. Editable reply-to for emails: You can now change the email address that a client reply to your emails, at the time of editing an email. Editable recipient field for emails: You can also change the recipients email, at the time of editing an email. Documents: We have introduced a new functionality for the creation of reservation based documents (like Offers and Proforma-Invoices, Vouchers and Registration Forms). It looks pretty much like the billing functionality, only simpler. Email Tags for linking bills & documents: We have introduced a new tag for inserting links to bills and documents in emails. Billing Accommodation tax: This is applicable only to those countries that have the obligation to charge guest with an accommodation tax in a separate document, like Greece. 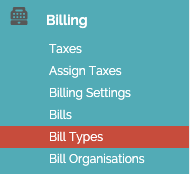 To enable it you need to edit the bill type and change the Type field to Tax. Drag ‘n Drop temporary disabling: Drag ‘n Drop was very buggy and it slowed down the performance of the calendar. We have disabled it until we find a better solution. Time of reservation history: The reservation history was displaying the event time in UTC. It is now shown in local time.